Expiratory Positive Airway Pressure Snoring Devices – What Are They? A lot of people have been wondering what EPAP (Expiratory Positive Airway Pressure) technology is, mostly because there are now stop snoring devises that use it. But a lot of people mix EPAP up with CPAP… so in this blog post, we’re going to discuss how the two are both similar and different. CPAP stands for ‘Continuous Positive Airway Pressure’, and is technology that is commonly used to treat obstructive sleep apnea. The idea behind this technology is pretty simple. Extra air is delivered into the airway from a CPAP machine (usually through a mask worn during sleep), and used to maintain a continuous level of pressure in the airway. This positive airway pressure helps to keep the throat from closing in and constricting, because it almost ‘inflates’ the airway, which keeps the throat and soft palate open. This is basically what CPAP machines do – but it is a bit different from EPAP technology. CPAP machines are expensive and difficult to take with you, while EPAP technology offers something a bit more ‘accessible’. EPAP stands for ‘Expiratory Positive Airway Pressure’, and essentially creates a similar type of positive airway pressure within the airway by using the individual’s own breathing. The most well-known anti-snoring device to use this technology is Theravent, but basically this is accomplished by placing small strips on the outside of the nostrils. These strips have small flaps that open upon inhalation, but close when the wearer is exhaling. This causes the airway to slowly and slightly ‘fill up with air’, which creates positive airway pressure not unlike that provided by a CPAP machine. The affect, then, becomes very similar. Positive airway pressure helps to keep the airway open, though it does so without the use of a machine or a mask. Why is EPAP such a big deal? EPAP technology, however, doesn’t require a machine or a mask. It simply uses the wearers own breathing to accomplish basically the same thing – but at a fraction of the cost and while being much less invasive. So really, when you think about it, EPAP technology is like a step up from CPAP in several ways. Granted, it might not be quite as ‘sure’ of a thing as CPAP, and it might not work for everyone – but for the price and with how well it has been working so far, you really can’t deny that it’s worth at least a try! What is the best device on the market to utilize EPAP technology? Theravent is currently the best device that we’ve found that utilizes EPAP technology. We actually wrote a full-length review of this product here: https://snoringdevicesaustralia.com/theravent-review/… So feel free to check it out if you’re interested. 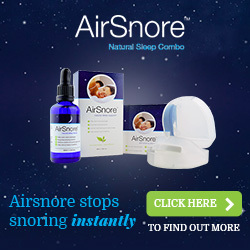 Of course, as with any stop snoring method, there are downsides to the technology. This specific anti-snoring solution might not work for everyone, mostly because all snoring is a bit different, and everyone deals with different snoring-related problems. But really, in the grand scheme of things, we won’t be surprised if EPAP really begins to take the anti-snoring world by storm. It’s an amazing idea, and is a great way to circumvent the obstacles and downsides that come with CPAP technology. But it also provides the same basic benefits – and does so at a fraction of the cost! In the end, however, just remember that it’s very important to take measures to curb your snoring problem. A lot of people live for years with snoring problems without doing anything about them, but it’s important to keep in mind that snoring will disrupt your sleeping patterns and hurt your chances of attaining a peaceful night’s rest. It could also eventually lead to increased fatigue and sleep deprivation – which can cause a myriad of other problems.